Tania Vaughan: How do you live and maintain a relationship with Jesus? How do you live and maintain a relationship with Jesus? I wish I could say that I start each day with Bible reading and prayer but I am not hugely disciplined. I’m a task orientated person and tend to fling everything into the washing machine of life and slam the door, just to get the job done. However I do pray pretty constantly, worshipping while walking the dog or singing along to tapes in the car. I've just asked my husband the question: "How do I live with Jesus?" "You work very hard at it", he said handing me a gin and tonic, "and love him to bits". I was amazed when he compared the relationship to our marriage. All I see are piles of laundry. I often look around and feel overwhelmed by how much there is to get done. My sister-in-law, who is used to this, is a great example. "Tell yourself you’ll do an hour", she says. So I start a task and soon find myself 'on a roll' as the Americans say. I try to tackle the dreaded jobs first thing. The only problem is becoming ruled by the merely urgent rather than concentrating on the important. I need help identifying what is a block and when I must wait patiently for the Lord’s timing. If the rain falls just as I finish hanging out the washing I still have to resist swearing, which must show that I'm not that mature in my faith yet. Does it make sense if I say that I try to be kind and gracious, to be generous and show gratitude, even if I don’t feel like it? That I ask the Holy Spirit not only to guide me but put the right words into my mouth? I fail of course but I do try to listen to God. The fact that pertinent Bible verses seem to find me at the right time does bash things home. I cling to the promises of God. "The obedient will be given a helper", is a great one (John 14:16), I claim that repeatedly and somehow the ironing gets done. I love it when new doors open and pray for my strength to hold up when they do. Sometimes I am a little hesitant, asking "Is this really you, Lord?" but it’s advisable to ask for confirmation. Please provide me with the scripture for this in the comments below, as it's evaporated from my memory. When confirmation comes from the Word there's nothing like it. I love living in the Lord’s will, walking in his ways. I should be braver. There have been times when I have taken risks so radical that I've needed daily miracles to survive but there are different seasons in our lives and the art of living well is to take time to appreciate the beauty in them all. So shall the work be done. 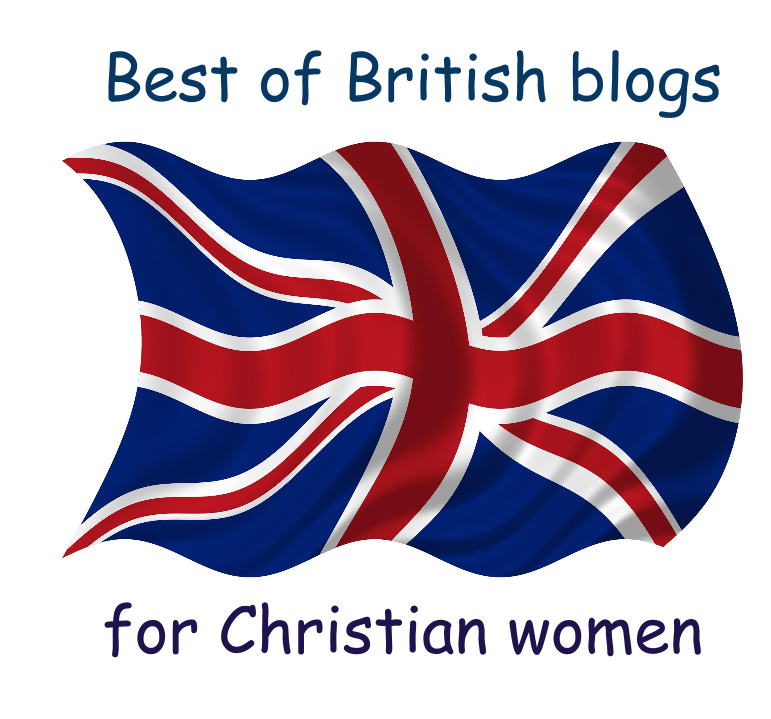 Sophie is a guest here as part of the Best of British, celebrating Christian women blogging from the UK.